Dr. Paul Reynolds is a consultant psychiatrist who specialises in the Psychiatry of Later Life. He commenced his training in Psychiatry in the West of Ireland and completed his junior training and higher training in Somerset and South Wales respectively. 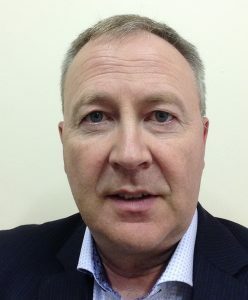 He commenced working as a consultant in Old Age Psychiatry in South Wales in 2001 and moved to Limerick, Ireland, in 2007, where he currently practices working for the Health Service Executive. As things stand, he likes his job. In itself, and so far, none of this seems remarkable but when you consider his upbringing a different perspective emerges. He spent his entire childhood living in five different Psychiatric Hospitals (ex "lunatic asylums"). He has lived through their closure and the move into 'the community'. His playgrounds were the hospital grounds, their patients a constant part of his life, remembered with affection and sympathy and wonder. In his early years in training in psychiatry he was absolutely sure of one thing- he would definitely not specialise in the new specialty of Old Age Psychiatry. As he aged, he became more and more sceptical of all absolutes.